By Ashutosh KS in Social Media. Updated on November 23, 2017 . 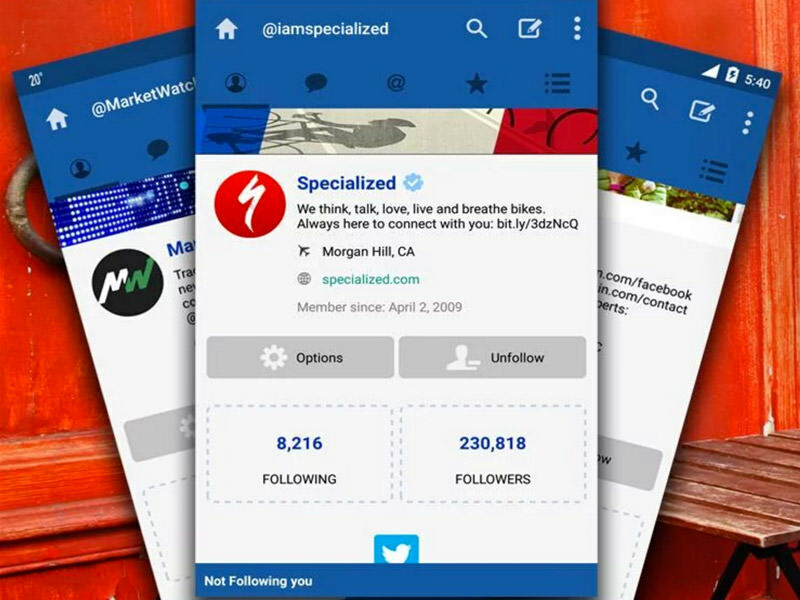 These clients offer more features than the Twitter’s official client for Android and enhances your Twitter experience on small screens. But first, let’s take a look at what the other Twitter clients are up against: the official Twitter app itself. Twitter, the official mobile client of Twitter, brings the very same features as offered by its web application. With the official client, you can stay updated with the global news and tweets from your friends and followings. The app also tells what’s trending around and allows you to share images & videos, emojis, GIFs and Vines with your followers. Moreover, you can send direct messages, reply to tweets, retweet and follow lists of your interest. Lets you share various types of media. Allows sharing tweets using other apps. Guarantees better privacy than any third-party clients. Twiiter, in spite of being the official client, lacks on various features offered by other Twitter’s mobile clients. For example, it doesn’t offer scheduling tweets, muting unwanted tweets or user accounts, multiple skins and many more. TweetCaster consists of an intuitive interface, making Twitter easier to use on mobile. Heavily praised for its advanced functionality, this app lets you receive background notifications for new tweets, mentions and direct messages. You can also add cool filters and effects to your photos before posting them on Twitter. TweetCaster also provides daily statistics on your Twitter account. Lets you mute tweets and user accounts. Allows management of multiple Twitter accounts. Support for widgets on home or lock screens. TweetCaster lacks a few usability features. For example, the app doesn’t have day and night color modes, or a media view for all Twitter feeds. 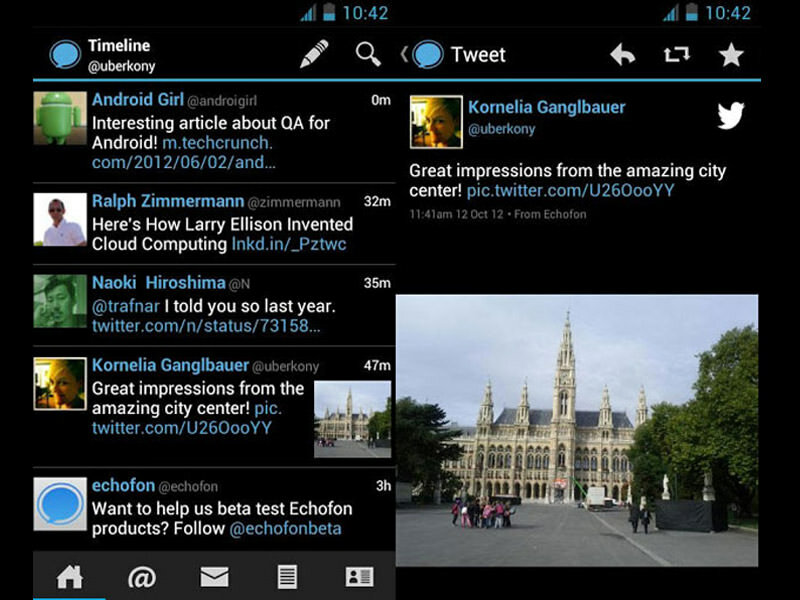 Echofon is a super-fast Twitter client with a clean and simple interface. The app syncs all your tweets efficiently across all your Android devices and sends instant notifications for mentions & direct messages. 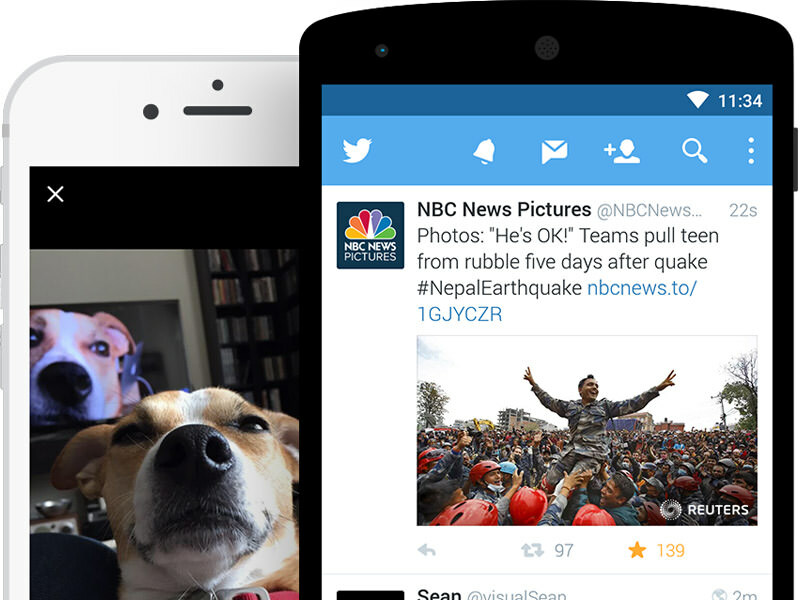 The app offers a full-featured dashboard widget that displays your timeline of tweets. It allows you sending/reading direct messages, mentions, tweets & retweets, lists and favorites, and even (inline) images as well. Support for almost every Twitter task/activity. Mute unwanted tweets and user accounts. Quick-switch between multiple Twitter accounts. Echofon doesn’t allows scheduling tweets and doesn’t offer a very modern (and material) user interface as offered by few of its competitors. 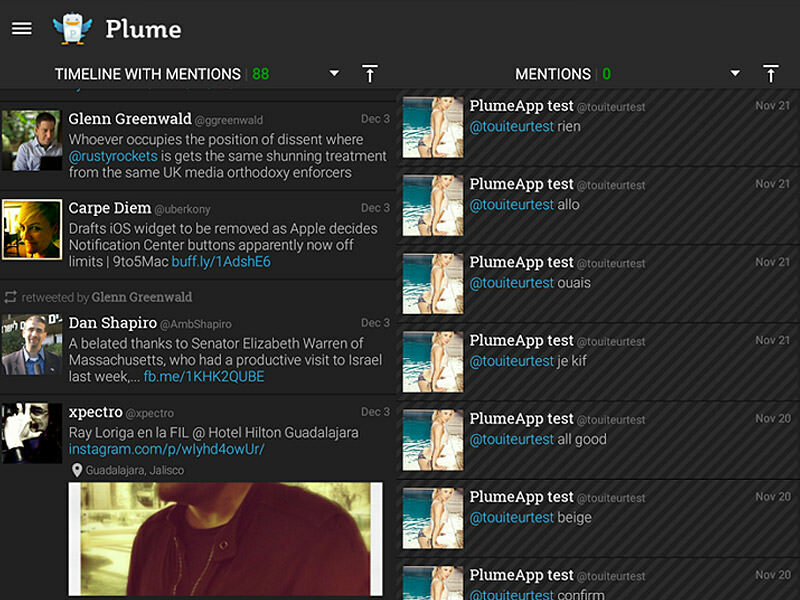 Plume is a customizable Twitter client that offers a timeline with multi-colored choices. The app includes scrollable widgets, allowing you to add your Twitter timeline to your home or lock screen. Plume adds an inline image preview in your timeline like Echofon. This client also supports auto-completion of usernames and hashtags for quicker searches. Along with profiles, replies and direct messages, it also lets you view trends, lists and favorites. Lets you geotag your Twitter friends. Supports managing multiple Twitter accounts. Allows muting tweets from users or applications. Plume, though a very useful client, misses few advanced features and doesn’t have a very fluid user interface. For example, tracking your tweets’ performance analytics, scheduling tweets in future, dual skins for day and night modes, etc. HootSuite is a powerful Twitter app, allowing you to publish, watch, and monitor tweets and even track their analytics. The app lets you publish a status to Twitter and other social networks at once like Facebook, LinkedIn, Foursquare, etc. from a single app. You can carry out everything you need to do on Twitter: tweet, reply, send direct messages, list and favorite tweets. A useful social network management tool to improve your social productivity. Allows managing multiple social networks. Supports scheduling posts and status updates. Offers support for almost all the Twitter tasks/activities. Lets you manage & switch between multiple Twitter accounts. HootSuite, although very near to being perfect, misses some features required by various users. For instance, multiple skins for day and night, homescreen & lockscreen widgets for easy access to tweets, muting/blocking tweets or accounts, etc. 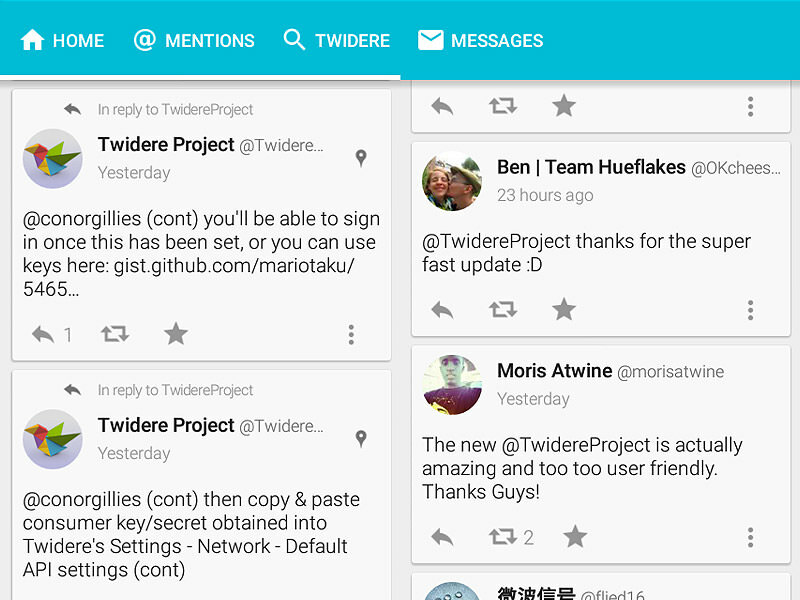 Twidere brings a clean, material design interface with multiple theme colors. You can view own timeline, direct messages, your lists, any user’s profile, followers as well as followings. Its tabs are fully customizable and present direct messages in conversational style. The app lets you preview images directly in your timeline like Echofon or Plume, and even allows browsing geolocations using its built-in map viewer. Offers dual color modes for day and night. Allows muting unwanted tweets and users. Supports switching between multiple accounts. Offers a media grid view for seeing all your media. Twidere, same as few other top competitors, lacks few advanced features such as option to schedule tweets, tweets’ performance statistics and useful widgets. Tinfoil for Twitter is a Twitter mobile site replica that brings the complete Twitter packed inside an app. The app has got a minimal interface that’s heavily inspired from Twitter. It lets you view your tweets, mentions, lists, direct messages and Twitter timeline, of course. Tinfoil shows instant notifications for replies, direct messages and new followers as well. 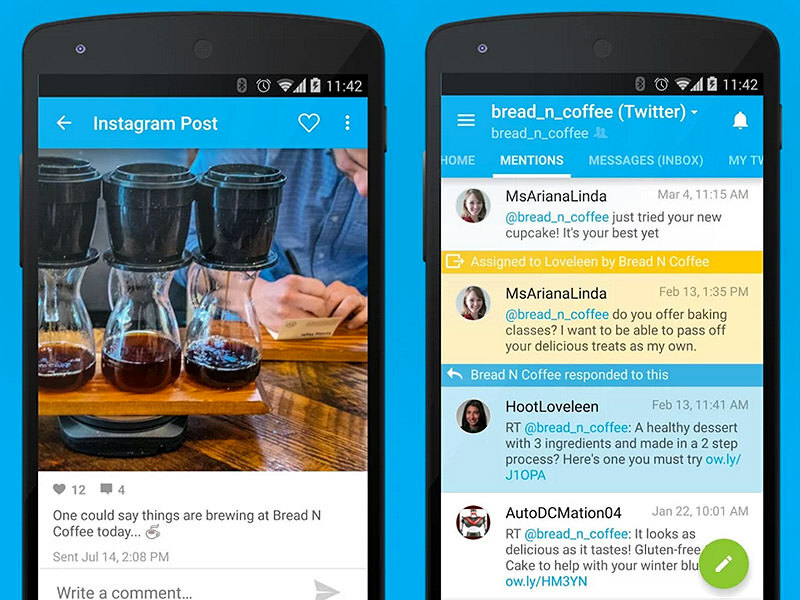 The app also lets you search for users and discovering hashtags and trends. It’s a complete Twitter client. Brings the known & friendly Twitter interface. Tinfoil for Twitter is just an application wrapper around the Twitter’s mobile website, hence it’s not as resource-efficient as other native clients like Echofon or HootSuite. This app also lacks advanced features like scheduling tweets, multiple skins, etc. 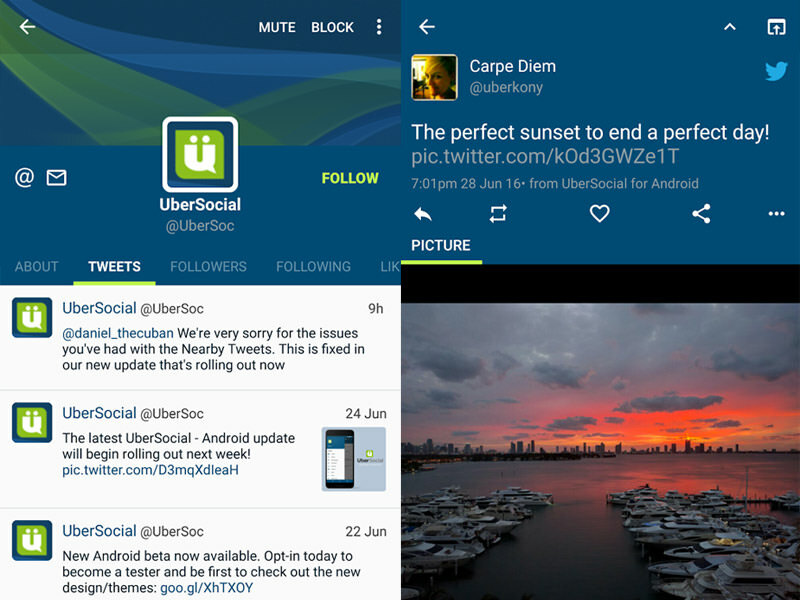 UberSocial is a popular Twitter client that lets you follow tweets, users and hashtags on your favorite social network. It lets you customize the menus and view tweets in a conversational style, making things much easier and natural. The app allows viewing & posting tweets, images and videos, and even lets you send tweets of more than 140 characters using TMI.me. It previews images directly and offers multiple color schemes to enhance the experience. Offers forming ‘Inner Circle‘ of your BFFs. Allows muting unwanted hashtags and annoying users. Lets you post update status directly on Facebook. UberSocial, in spite of all its great features, is not enough for social enthusiasts. The app lacks features such as scheduling tweets, sharing tweets with other apps, day and night modes for the interface, etc. Robird is a user-friendly and powerful Twitter client that offers an interactive interface with support for both smartphones and tablets. Robird has a blazing-fast timeline and supports uploading & previewing multiple images. It also supports background auto-refresh and real-time streaming of timelines and direct messages. It also allows posting more than 140 character tweets using the TwitLonger service like UberSocial. Allows muting tweets, hashtags and users. Offers home screen widget for viewing tweets. Supports showing notifications on Pebble smartwatch. Robird, in spite of all the sweet features, does lack at some places. For example, the app doesn’t allow you to schedule messages, switch skin with multiple color schemes, login using multiple Twitter accounts and many more. 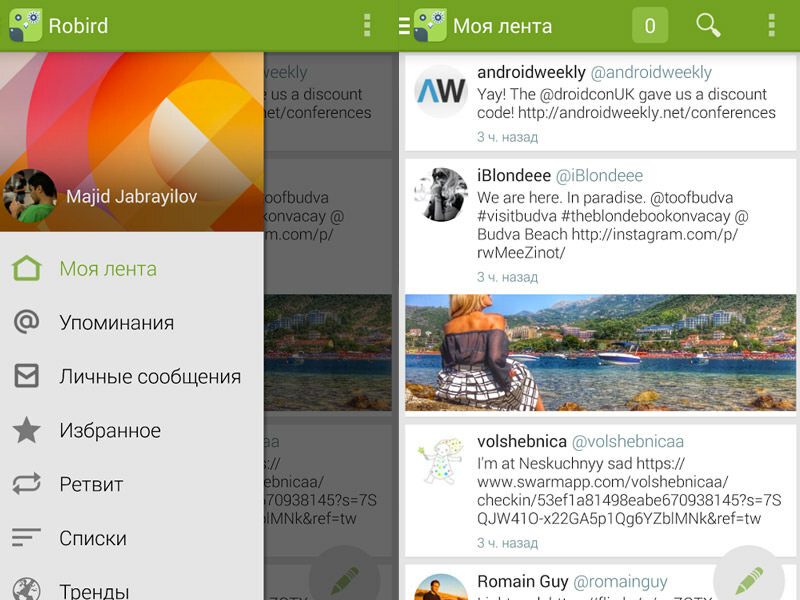 That’s all folks about the best free Twitter clients for Android. Do you know some other Twitter client worth mentioning here? Don’t forget to tell us using the comments section below.